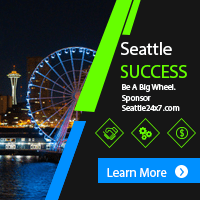 We have “Breaking News” from Seattle’s world of SportsTalk radio! “Heart-breaking” is more like it. (Okay, if not heart-rending, than maybe a high ankle sprain). The messenger of this sad medical news is the 710 advertising department. Throughout each broadcast day, the station provides a number of first-person testimonial ads for each announcer to intimately disclose his or her personal health condition in the form of an actual product endorsement. It’s like a “before and after” picture — on the radio! For Jim Moore, co-host of “Danny, Dave and Moore” in evening drive time, after losing 40 pounds he “gained it all back.” He pleads guilty with an explanation. Now Jim has surrendered to Evolve 180 Weight Loss to come to grips with the bandwidth of his slacks. Moore challenges you to evolve with him on his quest to a healthier lifestyle. He says he’s feeling better already! Moore will soon be less! Bob Stelton, of “Bob, Groz and Tom,” woefully confesses a long family history of heart issues. Like the Seattle Seahawks, Mariners, and Sounders who flex their athletic biceps and triceps, Bob now flexes his arteries with aronia berry and ginger root. Bob points to Weider Heart Health for keeping his arteries as flexible as possible. It sounds like those arteries could now bench-press either Groz or Tom. Ultimately, Bob reels off a disclosure at the end of his 30-second saga that “This product is not intended to diagnose, treat, cure or prevent any disease.” Stelton has a heart of gold. Former Seattle Seahawk’s linebacker Dave Wyman of “Danny, Dave and Moore,” lost 35 pounds at 30-10 Weight Loss for Life and has kept the weight off even while holding down his new gig as an NFL TV and radio analyst. It’s not obesity but “bad habits” that Dave says did him in. Now 30-10 is his life coach and is calling the plays. If Dave does gain the weight back, it may remain in the dark. He also endorses window blinds. On a more somber, less sarcastic note, “the Groz” recently received a more serious diagnosis of Parkinson’s Disease which drove him from his familiar place behind the microphone where he was sorely missed. Since his return to the Seattle airwaves, Dave says he’s feeling better than ever. That should put a new spring in his step! Profiling the 710 listening audience, and what with today’s analytics-based, geo-demographic profiling that is more science than art, medical intervention may be indicated if their attention lasts for more than four hours. Based on the advertising playlist, one can readily surmise that the 710 ESPN Sports listener is getting more joy out of sports and less joy from the other genuinely masculine pleasures that are a by-product of enhanced testosterone. Blessedly, the Puget Sound’s Universal Men’s Clinic is able to help get a rise out of their fans. You know those Doctor’s last names that tell you all you need to know about their specialty? (e.g.) Dr. Ichi, a dermatologist, Dr. Snipp, a surgeon, or Dr. Hugh Jass, the former chairman of the American Society of Bariatric Physicians? The doctor from the Northwest’s Universal Men’s Clinic is Dr. Arakaki. Need we say more? Having worked in the field of advertising for many years, I can understand how such stirring personal endorsements from on-air talent make sense. We can relate! 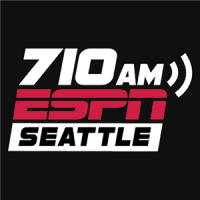 It’s just that the number of spots on 710 ESPN could trigger an audit of their medical insurance, or seriously raise their health care premiums. 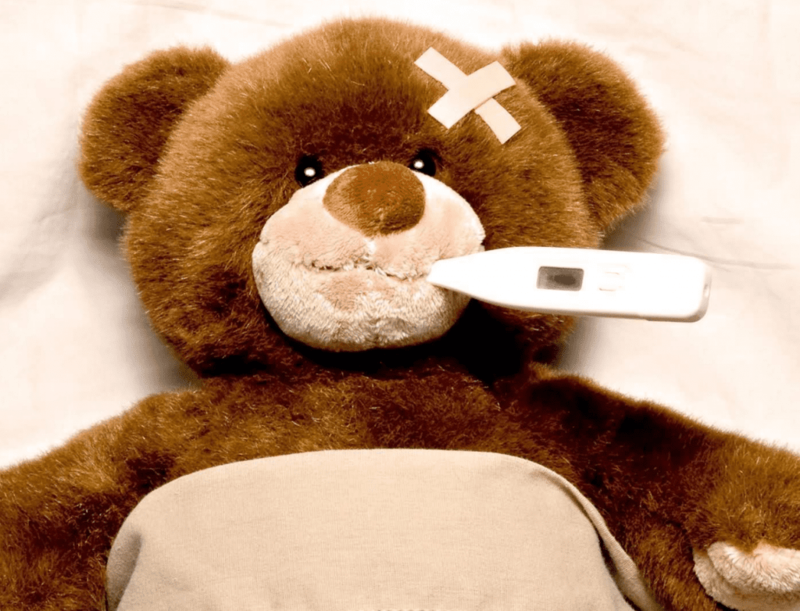 There is no shortage of pre-existing conditions. 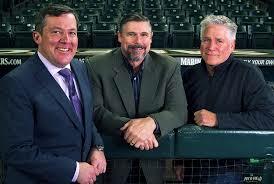 Long may our Seattle sportscasters live in the best of health. 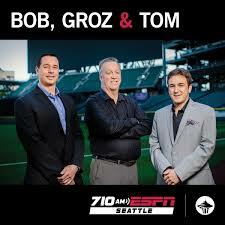 Pound for pound, the radio hosts of Seattle SportsRadio know the play-by-play better than anybody.